Following the 1952 season, the National League Boston Braves had no choice but to leave Massachusetts. Boston was really a one-team baseball town, with Ted Williams and his Boston Red Sox getting the attention. Besides, the Braves had been in steady decline since their pennant-winning 1948 season when they had attracted 1.4 million hometown fans. By 1952, they finished a distant seventh with only 64 wins and a pathetic home attendance of 281,000 at Braves Field. Owner Lou Perini, who had already made his fortune in the family construction business of Perini Corporation, saw the writing on the wall. Lots of ups and downs had come his way since purchasing the team in 1945, but nothing close to the depths of the 1952 season. Perini was no stooge. Now he had to make a baseball business decision. Following some inquiries, he got the bug to GO WEST YOUNG MAN. And he did just that--setting his sights on a place crying for major league baseball, the beer brewing town of Milwaukee, Wisconsin and its new County Stadium, a park with 36,000 seats with room to expand to 40,000-plus. On 13 March 1953, in the midst of spring training, Perini announced his intention for permission to move his Braves to Milwaukee, a city of 600,000. Five days later, the National League owners okayed the move by a unanimous 8-0 vote, allegedly led by Dodgers owner Walter O’Malley who wanted a favor down the line and got it when he and Horace Stoneham’s New York Giants received league permission to take their teams to the West Coast a mere four years later. The old…you scratch my back, I’ll scratch yours. The move to Milwaukee was the first MLB team franchise shift in 50 years. Little did Perini know he’d be starting an avalanche of team transfers in the next dozen years. The city of Milwaukee went absolutely nuts in 1953, accepting the Braves with open arms. Sixty thousand fans lined the streets for a parade the moment the team officially came to town. That first year, the new Milwaukee Braves passed the previous year’s attendance in Boston by 20 May, in only their thirteenth home game. The team went on and topped out at 1.8 million fans--a new National League attendance record--and a 92-62 mark, good enough for second place, eight games behind the Brooklyn Dodgers. Pitcher Warren Spahn led the league in wins with 23 and third baseman Eddie Mathews chased Babe Ruth’s single-season 60 homers, but fell short, eventually reaching 47 homers, though. Not bad for a 21-year-old kid about to become a local hero in only his second major league season. The next spring, Mathews made front cover of the prestigious Street and Smith’s Baseball Yearbook. In an article inside, he was already being compared to the Babe. It only got better after that for the Milwaukee Braves, soon to be the showpiece franchise of the entire major leagues. In the 1955 Street and Smith’s, an article stated, “After two years in Milwaukee, the Braves still are wondering if their main purpose is to win a pennant or draw fans.” As it turned out, they did both. For six straight years from 1953 to 1958, they were number one in attendance for both leagues, breaking their own National League attendance record with 2.2 million in 1957, when they had their best season at 95-57, and won their first pennant. League MVP Hank Aaron led his circuit with 44 homers, 369 total bases, 118 runs scored and 132 RBIs, while Cy Young winner Warren Spahn led the league’s pitchers with 21 wins and 18 complete games. The Braves then went on to beat the New York Yankees in the World Series in seven games. The 1957 Braves hold a soft spot in my heart. I’m a big APBA fan. For those of you who aren’t familiar with APBA, it’s the sports simulation game that’s been around since 1951. In 1962, when I was 11 years old, a cousin on my dad’s side gave me his 1957 card set, complete with dice, boards and assorted material to play the game. Although I was a big Yankee fan—Mickey Mantle was my favorite--I could see on paper that the 1957 Braves were a great ball club and an even match for the Yankees. I still have the original set, by the way, with the cards protected in individual plastic sheets. In 1958 came another Brave pennant, a seven-game loss this time to the Yankees in the Fall Classic, but still 1.9 million saw their way through the turnstiles. Then came the gradual decline in attendance, although the Braves were still contenders in the standings. By the 1960s they had lost their glitz and their gate. They just barely reached the one million mark in 1961, putting them ninth out of 18 teams. Then 766,000 in 1962, followed by 910,000 in 1964. By then the team was still competing but were not the best in the National League any more, being replaced in different years by the Pittsburgh Pirates, Cincinnati Reds, Los Angeles Dodgers and the San Francisco Giants. Milwaukee fans didn’t care to support a team in the middle of the pack. Season ticket sales dropped to as low as 6,000 in 1962, the worst since leaving Boston, and down 50 percent from 1959. There were other factors. There was very little Braves TV coverage to interest the fans who couldn’t make it to County Stadium. And, starting in 1961, a new city ordinance forbid fans from bringing their own beer to the park, which annoyed many individuals. The Braves seemed to be trapped--two Chicago teams to the south and Lake Michigan to the east. Once the Washington Senators moved to the Twin Cities, the new Minnesota Twins began to take away the Braves enthusiastic fans from Western Wisconsin who used to make packed bus trips to Milwaukee to catch weekend games. Also, the high-powered Green Bay Packers, coached by Vince Lombardi, who played half their home games in Milwaukee for the bigger gate, were the talk of the National Football League, and stealing a lot of the Braves thunder. Then Lou Perini sold the Braves after the 1962 season for $5.5 million to a group of Chicago investors. Almost immediately rumors were afloat that the new gunslingers in town were planning a move to Atlanta. And…the rumors were eventually true. In two years they made it known they were looking at making such a move South, where they could draw uninhibited from a much wider area than was available to them in Wisconsin. The new ownership were all set to pack up and flee after the 1964 season with a brand new state-of-the-art stadium waiting for them, except for Bud Selig--yes, that Bud Selig--who, as a minority Braves stockholder, arranged for a court order to keep the team in Milwaukee for the 1965 season. With his hands tied, the judge could only do one more season. Once the local fans heard this, they stayed away on a grander scale than before. Who wanted to watch a team that wouldn’t be sticking around? The Braves drew only 555,000 fans in 1965, then became the Atlanta Braves for 1966. Four years later, Selig was directly responsible for bringing a major league team back to Milwaukee, this time in the form of the American League Brewers. For the 13 years in Milwaukee, the Braves always had winning ways. Their worst season was 1963, when they finished 84-78. For a span of a few years in the 1950s they were the talk of baseball and sports in general. They were the darlings of Milwaukee. They had stars Eddie Mathews, Hank Aaron, Warren Spahn, Lew Burdette, Joe Torre, and Rico Carty. But it still wasn’t enough to draw the fans. Here’s a piece of trivia for you…who was the only player to wear the uniform of all three Braves teams during their time in Boston, Milwaukee, and Atlanta? Try…Eddie Mathews. Lou Perini died in 1972 at age 68, 10 years after selling the Braves. His business still survives today as Tutor Perini Corporation, one of the largest general contractors in the United States, with an annual revenue of $4 billion in 2012. Through clandestine channels, Khrushchev agreed to remove the missiles on the condition that the US promised not to invade Cuba. As a second part of the deal--the secretive part uncovered 25 years later--the Americans had to agree to dismantle the Jupiter missiles in Italy and Turkey, although the Russians failed to realize that the Americans were already looking at replacing the obsolete land-based Jupiters, anyway, with Polaris nuclear ballistic submarine missiles. The two-week threat of nuclear war was over. Major Richard Heyser, the U-2 pilot who had snapped the first series of pictures, was one of the many relieved that a peaceful solution was achieved. As he said in an interview three years before his death in 2008, “I didn’t want to go down in history as the man who started World War III.” I was relieved too (along with my family, relatives and friends) because I could watch another World Series in 1963. Too bad my Mickey Mantle Yankees had to fall to the Sandy Koufax Dodgers in a 4-game sweep. As a result of the confrontation, a much-needed Moscow-Washington Hotline was put into place. Established in 1963, it linked the Pentagon with the Kremlin. Phones, as depicted in some movies, were never used. It started out as teletype, then went to fax in 1985, and since 2008 it’s connected by email. Kennedy and our Canadian Prime Minister John Diefenbaker were far from being the best of buds. More like soft-core enemies. Diefenbaker found Kennedy young, inexperienced and arrogant. To Kennedy, Diefenbaker was a boring, old SOB. Nuclear weapons were one of the issues that cut a swath between the two leaders. Diefenbaker simply didn’t want them here. In the next federal election, his ant-nuke agenda was partly responsible for his downfall. His cancellation of the CF-105 Avro Arrow fighter aircraft in 1959 didn’t help him either because it alienated the crucial Southern Ontario voters. But that’s another story I got into in an earlier blog. To backtrack, Kennedy and Diefenbaker got off to a rocky start when they had visited each other following Kennedy taking office in early 1960. It irked Diefenbaker that Kennedy, with his New England accent, pronounced Canada as “Canader” and his last name as “Deefinbocker.” On the other hand, Diefenbaker was a problem to the Kennedy regime. He refused to end trade with Communist China, and didn’t feel it was that important for Canada to join the OAS (Organization of American States). At one of their two meetings, Kennedy (according to Diefenbaker) said, firmly, “When I tell Canada to do something, I expect you to do it.” Those were fighting words to the stubborn Diefenbaker. During the Cuban Missile Crisis, Diefenbaker doubted the initial information put forth to him and asked for the photo evidence revealing the missile sites so that he could make his own assessment. He also recommended that independent UN inspectors be allowed into Cuba to inspect the suspected areas before any action was taken. Diefenbaker then shocked his cabinet and both sides of the House of Commons by refusing to put Canada on the DEFCON 3 readiness that Kennedy asked for only two hours before his 7 PM Monday airtime. Not expecting this reaction from his neighbor to the north, Kennedy wondered whose side Diefenbaker was really on. It turned out that more logical minds prevailed, however. Going over Diefenbaker’s head, our military put themselves on alert, preferring to listen to Kennedy rather than their own federal leader. When our US-purchased Bomarc missiles were finally positioned on alert, they were useless because they were not armed with the nuclear warheads they were supposed to have received, based on Diefenbaker’s assurance a year earlier. Even before the Cuban Missile Crisis began, the Kennedy regime had put in place an all-out campaign to discredit Diefenbaker in his own country. Enter Livingston T Merchant, the US Ambassador to Canada for two terms, 1956-1958, then again from early 1961 to May 1962. With his covert CIA connections, Merchant went to systematic work launching a Diefenbaker smear campaign by influencing the “hawks” anyway he could in Canadian politics, Diefenbaker’s own party and cabinet, the media, and the armed forces. When Merchant returned to the United States, the campaign was quickly picked up by the new Ambassador, William Butterworth, who also had CIA connections. During the 1962 Canadian federal election campaign, Butterworth made sure that Liberal opposition leader Lester B Pearson was given “election tips” from Kennedy’s own successful 1960 presidential campaign. Diefenbaker won the election, just barely, losing a large number of the seats from his record-setting majority conquest in 1958. He was now in a vulnerable minority situation. On 23 January 1963, General Lauris Norstad, recently retired from the USAF, held a press conference in Ottawa where he criticized Diefenbaker’s anti-nuclear stance. Going in for the political kill nine days later, Lester Pearson flip-flopped by informing the press and the House of Commons that he was rejecting his previous anti-nuclear position and ready to accept nuclear warheads on the Bomarcs. That same month, the US State Department in Washington issued a press release in support of Pearson’s new-found position, and at the same time criticized Diefenbaker’s stance on misleading the Canadian people. The result was Diefenbaker’s Tory Party breaking up from within. Several members of the PM’s cabinet resigned. Pearson called for a non-confidence vote in the House of Commons and won. The Diefenbaker government fell and Pearson won the May 1963 election in a minority situation, collaborating with the NDP to help him form a government. A Tory government wasn’t heard from again until well into the late 1970s, and even then it was short-lived, as evidence by Joe Clark and his bungling. 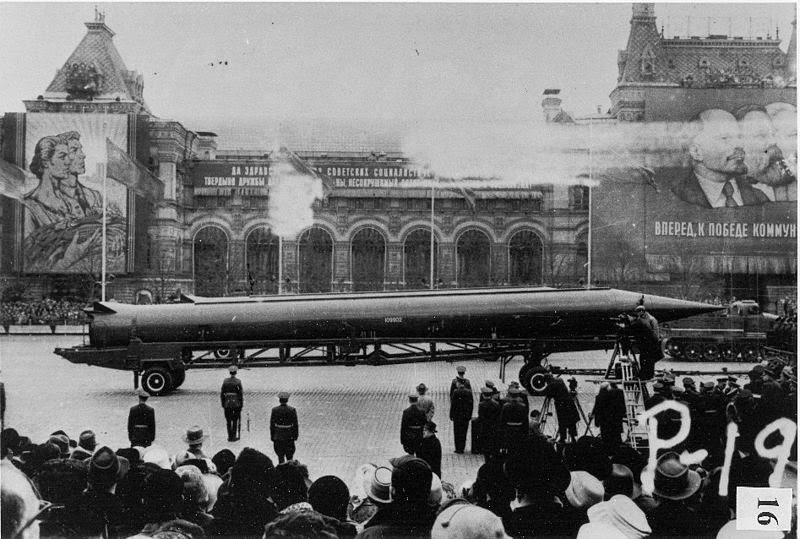 Was the Cuban Missile Crisis the spark that set it off? When I lived in Regina, I attended Miller High School from 1966 to 1970. Miller was located on the corners of Winnipeg and College Avenues. On the way to and from class, I used to take College Avenue, heading west, and I’d go by Arcola Elementary School at 2315 Abbott Rd, within easy eyesight of College Avenue. At one end of the playground was a monster of an air-raid siren that had been built by the Department of National Defense as part of our Early Warning System in case of a nuclear attack. Apparently, after the Atomic Age began, every Canadian city of more than 25,000 people received a siren or a series of them depending on the size of the city. Regina had several. You couldn’t miss the one at Arcola School. It was about 40 or 50 feet high. The countless times I drove by and saw that engineering marvel, I would think about the Cuban Missile Crisis and how close we had come to all-out nuclear war. Sunday morning 14 October 1962, under the cover of darkness, 35-year-old Major Richard Heyser--an 18-year veteran of the United States Air Force who had flown combat in the Korean War 10 years before--left Edwards Air Force Base in California in a state-of-the-art U-2 spy plane. At an altitude of 72,000 feet and no contrails visible behind him, he flew south over the Gulf of Mexico, banked over Mexico’s Yucatan Peninsula, then headed on a straight line towards Cuba. An hour after sunrise, he raced over the island and in seven minutes snapped 928 pictures using his camera pod. There was no opposition from Cuban air defenses. Major Heyser then landed at McCoy AFB, Florida, 10 miles south of Orlando at exactly 0920 EST, following seven hours in the air. After viewing Heyser’s photos, President Kennedy met with his nine-member National Security Council (NSC) to discuss the options. The military Joint Chiefs of Staff were all for a full-scale air and sea attack followed by a land invasion. In particular, Chief of Staff of the USAF General Curtis “Bombs Away” LeMay wanted to take the sites out with bomb strikes, then invade and go as far as ousting Castro by the scruff of his neck. LeMay was confidant the Russians would not retaliate. Kennedy and Secretary of Defense Robert McNamara both considered that should the US strike and invade, then the Soviet Union would strike back either in Cuba or in West Berlin, the democratic island surrounded by communism in East Germany. McNamara and Kennedy made it plain that the Russians wouldn’t just do nothing. And if they did retaliate, they could respond with nuclear weapons. Kennedy had concerns that a US military strike would appear to be “a mad act by the United States.” Besides, what if all the sites in Cuba weren’t taken out? What if one or two were missed? McNamara then mentioned the idea of a naval blockade, which did not go over well with the military staff who thought it was too soft of a response. The next day, 17 October, more photos were taken over Cuba and more missile sites were discovered. 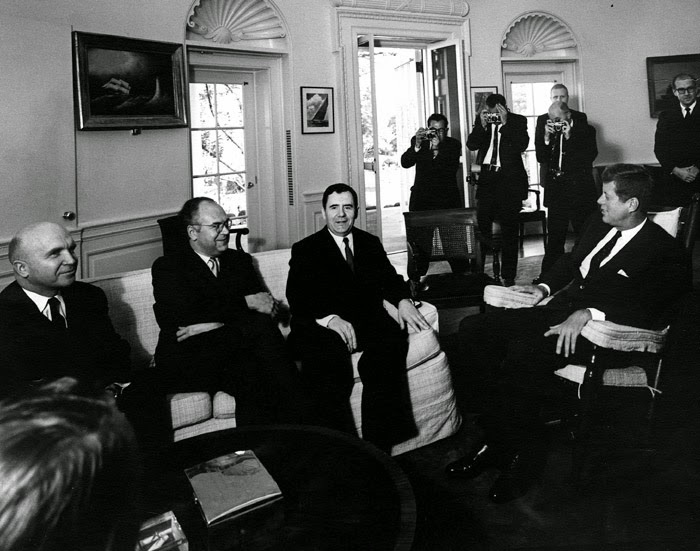 At the White House on 18 October, Kennedy met with Soviet Minister of Foreign Affairs Andrei Gromyko, an appointment that had been scheduled several days before the existence of the U-2 photo-recon pictures. At the meeting inside the Oval Office, Gromyko claimed that any weapons on Cuban soil now and in the future would be used for defensive purposes only, and that no surface-to-surface ballistic missiles would be installed in Cuba. He went on to say that the only thing Cuba wanted was peaceful co-existence with Latin America and that Castro was not out to spread Communism in the region. Russia was not interested in furnishing offensive weapons to Cuba, so he said. Only bread in order to prevent hunger. Kennedy, of course, didn’t believe him, and did not reveal what he knew of the missile sites. Next, Kennedy consulted his staff and military advisors for the second time, where McNamara again mentioned the idea of a naval blockade of Cuba which they could call a “quarantine.” To announce it as a blockade would not only be illegal under international law but an act of war. All ships approaching Cuba would be searched and any carrying nuclear weapons would be forced to turn back. They would only let the ships through carrying the necessities of life. All this time, only a precious few Americans outside this Washington circle knew anything of the U-2 photos and what had occurred since. Word had leaked out, however, to the New York Times, who were ready to run a story on the Cuban missile sites. But for the sake of National Security, the Kennedy administration placed a gag order on all North American newspapers until the public was alerted. On 22 October, US ambassadors around the world gave advance notice to many unsuspecting Free World leaders that President Kennedy would go live with the announcement of the missile sites and the “quarantine.” Our Tory Canadian Prime Minister John Diefenbaker received his personal notice about two hours before airtime. A calm, confidant Kennedy took to live television that evening 7 PM EST to inform the American people and the world that US intelligence had discovered Russian nuclear missile sites in Cuba. He outlined that the missiles had the capability of striking the Western Hemisphere. 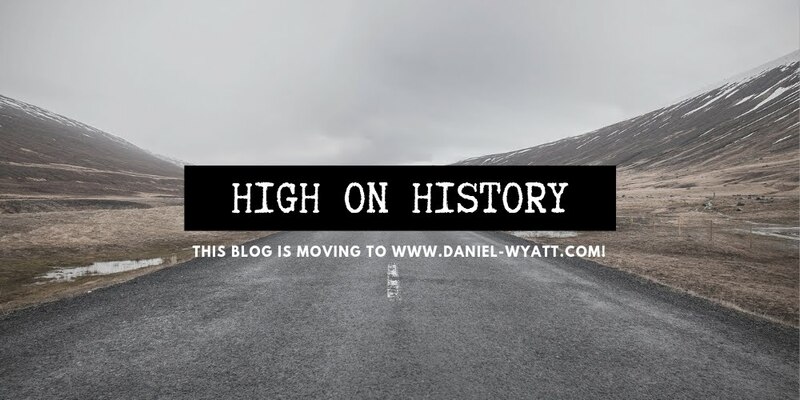 Several of the sites included medium-range ballistic missiles carrying a nuclear warhead and a range of 1,000 nautical miles, capable of striking Washington DC, the Panama Canal, Cape Canaveral, Mexico City, plus the southern US, Central America, and the Caribbean area. Kennedy and his newly-named staff called EXCOMM (Executive Committee of the National Security Council), now a group of nine members with five advisors, waited it out to see what the Russians would do. For one thing, the quarantine would give both sides time to cool off. I can’t remember for sure if I caught the live broadcast at 7 PM or if I saw it replayed that week. But I did watch it. I was just a kid in Grade 5, living in Regina, Saskatchewan. Nuclear missiles! I was scared. Were we all going to be destroyed? Would I never be able to watch another World Series, like the one my New York Yankees had just won earlier that month by defeating the San Francisco Giants in seven games? Would Regina be attacked? I was a kid, OK! I didn’t know. The quarantine went into full effect two days later, with the American Army, Navy, Air Force, and Marines on DEFCON 3 alert. How close did we come to nuclear war? We were very close. Over the course of the next few days, several Russian ships carrying the necessities of life were allowed through, while the ships carrying military weapons stopped and turned around on their own once they saw the US naval presence. In one day alone, 15 October, 14 ships carrying nuclear weapons turned back. For the next few days, Kennedy and Khrushchev communicated through telegrams, some heated, calling each other’s bluff, waiting to see who would blink first. By 26 October, Kennedy was considering an invasion, what the military brass were all for from the beginning. 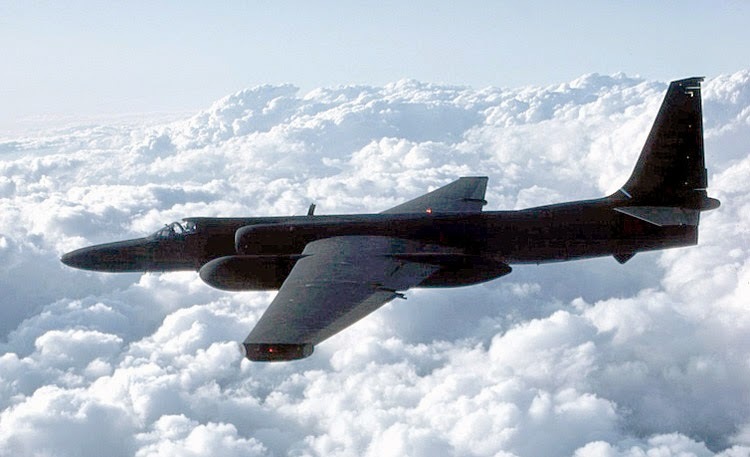 During this period, things could have easily gotten out of hand after 27 October when Major Rudolf Anderson Jr, flying on a U-2 mission over Cuba, was shot down and killed by a SAM (surface-to-air missile). That same day several US Navy Crusader aircraft were fired at while making low-level missions over the island. Still, the negotiations continued on. 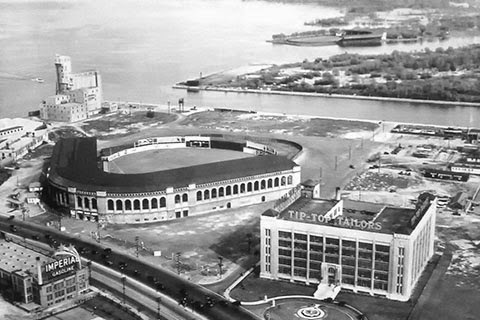 In the mid-1920s, Canadian businessman Lawrence Soloman had Maple Leaf Stadium constructed along the Toronto waterfront to house his minor league baseball team, the Toronto Maple Leafs. On a rainy 29 April 1926, the park opened as 18,000 fans saw the Leafs beat the Reading Keystones 6-5 in 10 innings. From 1926 to the Leafs disbanding in 1967, and the subsequent demolition of their park in 1968, the Maple Leafs won seven International League pennants, one Junior World Series, and four Governors’ Cups--the playoff winner of the top four finishers in the league. 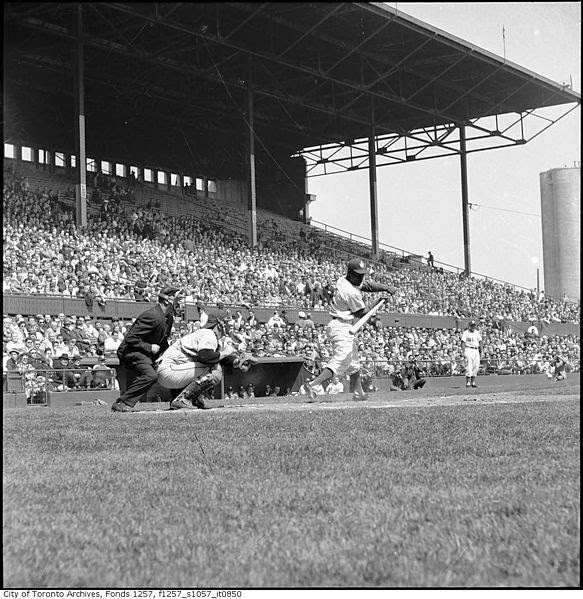 The 19,000-seat capacity Maple Leaf Stadium was one of the most state-of-the-art minor league parks on the continent. To keep updated, lights were installed in 1934, one year ahead of the major league’s first park to go with lights, Cincinnati’s Crosley Field. From the outside, Maple Leaf Stadium had curb appeal. It reminded people of the Roman Coliseum with its massive, arched windows. Inside, it was a cozy, fan-friendly venue where the box seats almost leaned onto the beautifully-kept diamond of ultra-green grass and red-brown clay infield. Beyond the outfield fences--300 feet to left, 425 to center, and 311 to right--the fans could catch a serene view of the nearby Lake Ontario and Toronto Island. I knew very little about the Toronto’s Triple A baseball tradition when I moved to the area from the prairies in 1976. Then, at a Saturday garage sale two years later, I purchased a publication, which I still have, entitled the Official Leafs Score Magazine. It was the 1958 summer edition, selling for 25 cents in its day. In it were several great photos of Maple Leaf players with bios, including legendary slugger Rocky Nelson. I took note of the ticket prices listed on one page…$2 for boxes, $1.75 for loge seats, $1.60 for blue reserves, and $1.50 for general admission. Working at the Loblaw’s grocery warehouse in Streetsville at the time, I took the program to work the following Monday and what a reaction from several colleagues! It turned out that Maple Leaf Stadium was right across the street from the first Loblaw’s warehouse on the corner of Bathurst and Front, now Lakeshore Boulevard, and the company used to charge fans to park their cars on Loblaw’s property on game day. When my boss saw the photo of Rocky Nelson, he said, with enthusiasm, “Wow! Nelson was my favorite Maple Leaf! He used to be huge in Toronto.” Translate into today’s term…a rock star. One of the truck drivers added that dozens of kids at any one time used to show up at Nelson’s house on Islington Avenue, asking for his autograph. And Nelson was nice enough to sign every piece of paper they would hand over. Back in 1958, the Maple Leafs were owned by the colorful Jack Kent Cooke. Hamilton-born in 1912, the entrepreneurial Cooke went from peddling encyclopedias door-to-door during the Great Depression to selling soap to managing radio stations. He later bought into newspapers, magazines and radio stations. By 1943, he was a self-made millionaire. A sports fan, he purchased the Maple Leafs on 4 July 1951. By then, the team had fallen on some hard times since their last pennant in 1943. Maple Leaf Stadium had also hit the skids, badly in need of repairs. Using his own $60,000, Cooke cleaned the park up and promised the city and fans that he’d return the team to their winning ways. At the first game under his ownership, he gave away free hotdogs and pop to everyone in attendance. From then on, throughout the 1950s, he gave the fans entertainment like the city and league had never seen before. He introduced dignitaries before games, including visiting movie stars. He raffled off items such as bats, ponies, and cars. He hired attractive female ushers. He showcased beauty competitions and staged milking contests in which the players joined in. Between innings, modern hit parade music blared over the loudspeakers. After many night games, Cooke thrilled the fans with dazzling fireworks. He made Maple Leaf Stadium the hottest ticket in town, and the coolest place to be. He also turned the Leafs into the most-talked minor league team of the Fifties. Some people in the press even referred to Cooke as “Canada’s Bill Veeck.” FYI--I have a two-part story on Bill Veeck coming to my blog this summer. In 1952, when the Leafs established their all-time best gate of 512,325 tickets sold, Cooke was voted minor league executive of the year by The Sporting News. During Cooke’s leadership, the team saw more than 3.2 million paying customers jam their way through the turnstiles from 1951 to 1960, easily outdrawing all other International League teams and even an occasional major league team in particular seasons. 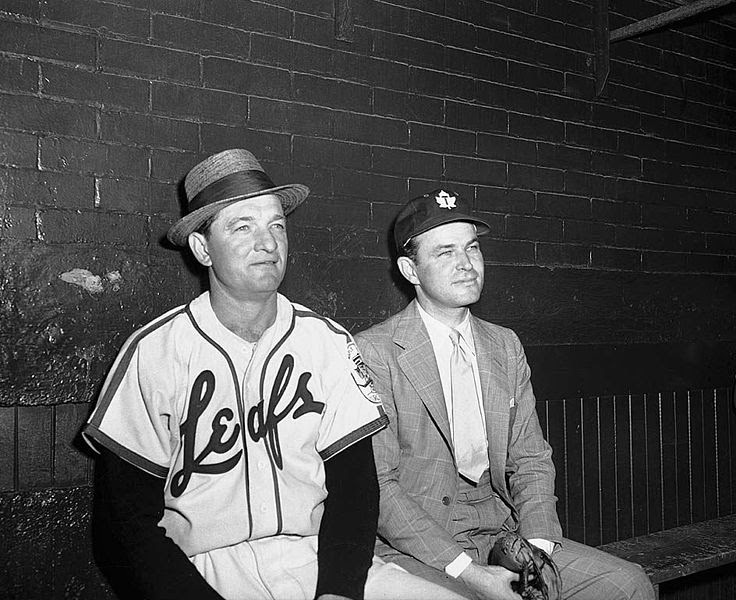 By acquiring Toronto’s CKEY Radio in 1945, he was able to broadcast his games over the air. An early-day George Steinbrenner, Cooke even had a telephone installed in his box seat that connected him to the dugout. Besides all his hustling and promotions, Cooke’s teams also won for the fans, taking pennants in 1954, 1956, 1957 and 1960; and a Governors’ Cup in 1960. And he did it by operating independently for most of the years by signing players outright, developing them, then selling them to major teams for more money than what he paid for them originally. Prior to the 1954 season, Cooke, ever the opportunist, made an agreement with the New York Yankees to take one of their players, African-American catcher Elston Howard, under his wing to help develop him--plus use his presence at the gate--before sending him up the line to New York. Toronto was also an excellent city for Howard--a true gentleman--to integrate with white players and white society in general. Playing regularly in 1954, along with other talented black teammates Connie Johnson, Sam Jethroe, and Hector Rodriquez, Howard excelled by hitting .330 with 22 homers and 109 RBIs and taking International League MVP honors. Then he joined the Yankees in 1955 as the team’s African-American, eventually taking over the catching duties from Yogi Berra. In New York, Howard played solidly for a dozen years, including being named American League MVP in 1963. Cooke’s best team had to be the 1960 Maple Leafs--one of the most prolific minor league teams ever--who finished with a 100-54 record, 17 games ahead of the second place Richmond Virginians. The pitching staff, nicknamed “The Whitewash Crew,” threw a league-record 32 shutouts. However, by then the crowds were dwindling. Not just in Toronto, but all over the minor leagues. Major league games on TV the biggest culprit. Cooke loved the Leafs. But it was still only Triple A. As far back as 1951, he began making inquiries about purchasing the St Louis Browns, then the Boston Braves, and the Philadelphia Athletics, three teams in financial trouble for years. Every time he was beaten to the punch, as the teams moved one by one to greener pastures in Baltimore, Milwaukee and Kansas City, respectively. Then he made a valid bid to buy the Detroit Tigers for $5.2 million, but was turned down. He also considered the Chicago White Sox, until Bill Veeck bought them in 1959. Then Cooke and other entrepreneurs looked into forming a new league--the Continental League--that would compete directly against the established majors. That venture fell through once the majors announced expansion plans for the early 1960s. All this time, Cooke tried desperately to convince the Toronto city fathers to work with him in replacing the aging Maple Leaf Stadium with a newer, larger venue, in anticipation of a forthcoming major league franchise. According to a Cooke confidant, the Toronto politicians considered Cooke a con man and refused to take him seriously. As the news of Cooke’s continual rejections reached the press, the fans grew tired of waiting and began to avoid Maple Leaf Stadium altogether. To them, it was the majors or nothing. Fed up, Cooke moved his business base of operations to California in 1960, where he became a US citizen. Four years later, he sold the Leafs for a fire-sale price of $50,000. Winning Governors’ Cups in 1965 and 1966 to empty seats, the Leafs left town after 1967 and relocated in Louisville. By then, the once-great Maple Leaf Stadium was a crumbling safety hazard and saw the wrecking ball the following spring. Nine years later, in 1977, the City of Toronto had a change of heart and worked with a new group to bring major league baseball to town as the expansion Toronto Blue Jays. At the time of his death in 1997, Jack Kent Cooke’s vast estate was worth approximately $825 million. He had invested in cable television; New York’s Chrysler Building; the LA Lakers; “The Fabulous Forum” in Inglewood, California that promoted and iced his NHL expansion team, the LA Kings; and the 3-time Super Bowl winning Washington Redskins, to name a few of his ventures. But he couldn’t to be trusted by Toronto’s city fathers to bring major league ball to Toronto. Some con man.